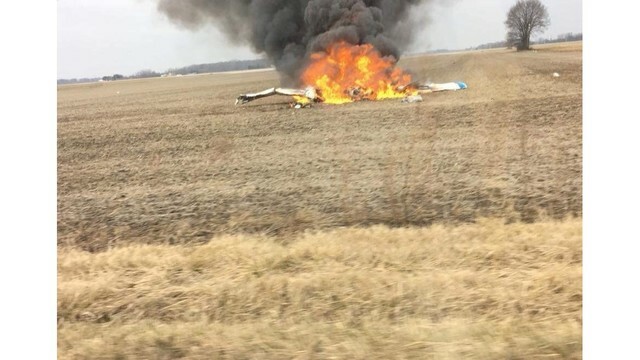 On November 29, 2018, about 1421 eastern standard time, a Piper PA-30 airplane, N7751Y, impacted terrain following a loss of control shortly after takeoff from the Marion Municipal Airport (MZZ), Marion, Indiana. The airline transport pilot, who was the sole occupant, sustained fatal injuries, and the airplane was destroyed. The airplane was registered to and operated by a private individual as a Title 14 Code of Federal Regulations Part 91 personal flight. Visual meteorological conditions prevailed at the time of the accident, and a flight plan had not been filed. The local flight was originating at the time of the accident. According to witness information, the airplane departed runway 22, climbed to about 500 ft above ground level, and began a left turn. During the left turn, the airplane "nose dived" in a downward spiral toward the terrain. The airplane impacted terrain, and a post-impact fire ensued. According to local authorities and witness information, the pilot, who was also an airframe and powerplant mechanic, had been troubleshooting an unspecified problem with the left engine. One witness described the accident flight as "test flight". The airplane wreckage was located in a soft and wet harvested soybean field about 1/4 mile south of MZZ. Postaccident examination of the airplane showed the fuselage, empennage, and inboard sections of both wings were consumed by post-impact fire. The left engine and propeller assembly remained partially attached to the airframe. One propeller blade showed no damage, and one propeller blade was straight and bent aft. The right engine remained partially attached to the airframe, and the right propeller assembly was separated from the engine, aft of the crankshaft flange. One blade was twisted and bent forward, and one blade was twisted and bent aft. 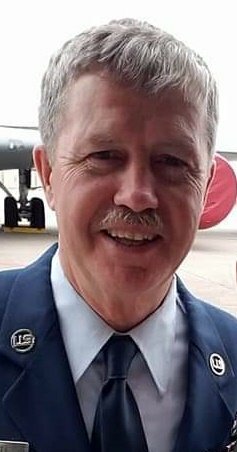 Jeffrey Curtis Barrett, 60, Chesterfield, passed away at 2:23 p.m. on Thursday, November 29, 2018, due to injuries sustained in an airplane crash. He was born in Campton, KY, on May 16, 1958, to the late Herschel and Eva Lee (Caudill) Barrett. After high school, Jeff enlisted in the Marines. Following his military service, he attended ITT Technical Institution, where he received his technical certification for HVAC. He then started working at the Marion VA Hospital. He continued his military service in the Air Force Reserve with the 434th refueling wing. Jeff then retired from the VA prior to retiring from the Air Force Reserve. 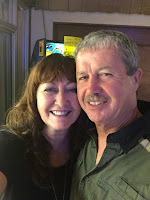 Jeff was a member of the Moose Lodge, American Legion Post 408, Mississinewa Valley Corvette Club, Grant County Beef Association, and Marion AMVETS (life member). He enjoyed aviation, traveling, scuba diving, adventuring, playing guitar, golfing, horseback riding, working on cars, and was a motorcycle enthusiast. He will be known for how much he loved to tease others, for his spirit of determination, intelligence, self-discipline, and the fact that he could fix just about anything. Jeff also loved his grandchildren, who will miss him dearly. His memory will be forever cherished by his children, Curtis Barrett, Chesterfield, Michelle (Allen Wagner) Barrett, Chesterfield, and Nick Barrett, Marion; 5 grandchildren, Gage Barrett, Austin Barrett, Tarrence Barrett, Diamond Barrett, and Breyanna Barrett-Wagner; siblings, Herschel Barrett, Telisa Barrett, and Norman Barrett; best friend, Lee Fridley; and wife of 35 years, Patty Midler Barrett. In addition to his parents, he was preceded in death by his step-son, Matt Stone, and grandson, Skyler Barrett. The family will receive visitors from 10:30 a.m. to 12:30 p.m. with Jeff’s funeral service beginning at 12:30 p.m. on Thursday, December 6, 2018, at Needham-Storey-Wampner Funeral Service, Storey Chapel, 400 E. Main St., Gas City, IN. Burial will follow at Marion National Cemetery. MARION, Ind. (WISH) -- A 60-year-old man died Thursday afternoon when his twin-engined plane crashed south of the city's airport. Jeffrey Barrett lived in Marion, according to a grandson, Gage Barrett. He said his grandfather had been fixing the aircraft and took it up for a test flight because he had been having issues with the engine and possibly the fuel gauge. Jeffrey Barrett was the only person on the plane, his grandson said. The crash occurred about 2:20 p.m. between state roads 9 and 37 on State Road 22/U.S. 35, on the south side of the highway and south of one of the airport's runway, said a news release from Grant County Sheriff Ed Beaty. The release said Jeffrey Barrett lived in Chesterfield. Gage Barrett says he was one of the first people to the scene. "It kind of hit me. My heart kind of knew what was going on. My brain didn't want to accept what was reality," said Barrett. "Right now I still kind of feel like he's with me." Former volunteer firefighter Richard Kain said he was driving to work and witnessed the aftermath of the crash. "There were several people that ran up to the plane. There was nothing you could do, it was too far gone to be able to do anything," said Kain. "It's just a tragedy that something happened and there was a loss of life. And you just feel for the people that are involved." Gage Barrett described his grandfather as one of the "smartest, coolest people ever." He said Jeffrey Barrett had retired from the United States Air Force and leaves behind a wife, four children, and five grandchildren. After the crash Barrett said he searched his grandfather's hangar and found several receipts for airplane parts. Those documents are now part of the National Transportation Safety Board's investigation into exactly what caused the Piper PA-30-160 to crash. "He always worked on his own planes. He always told me you know if he died in his aircraft he wanted to be the reason to die so he never let anyone work on his aircraft," said Barrett. Sheriff Beaty said State Road 22/U.S. 35 will be closed again Friday as the investigation continues. Marion Fire Chief Geoff Williams confirmed the fatality to News 8 just before 3 p.m. The crash happened when the plane nosed-dived in a field. Grant County Sheriff Ed Beaty said by email that officials with the Federal Aviation Administration also were heading to the crash. The crash was the second in Grant County this year. On April 2, two Madison County firefighters were killed when their plane hit another at the Marion Municipal Airport. In that case, an early report from the Federal Aviation Authorities indicated one was landing while another was taking off, and the pilots did not see each other. The Marion airport does not have a control tower, and its traffic is controlled from Chicago. 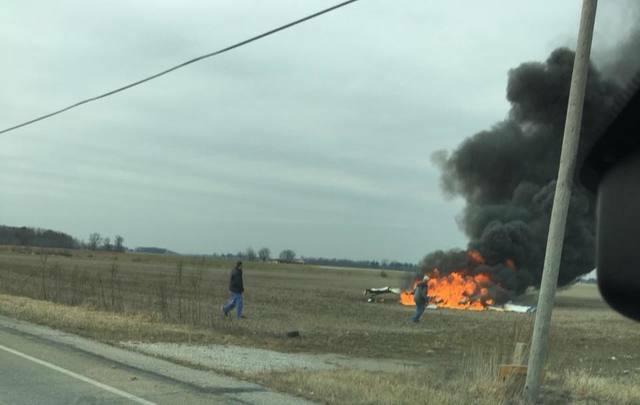 MARION, Indiana (WISH) - A 60-year-old Marion man died Thursday afternoon when his twin-engined plane crashed south of the city's airport. Jeffrey Barrett lived in Marion. According to Gage Barrett, his grandfather had been fixing the aircraft and took it up for a test flight because he had been having issues with the engine and possibly the fuel gauge. Jeffrey Barrett was the only person on the plane, his grandson said. The crash was along State Road 22, on the south side of the road and south of one of the airport's runway, between state roads 9 and 37. The National Transportation Safety Board said it was investigating the crash of the Piper PA-30, a twin-engined cabin monoplane. Marion Fire Chief Geoff Williams confirmed the fatality to News 8 just before 3 p.m. The crash happened when the plane nosed-dived. An early report from the Federal Aviation Authorities indicated one was landing while another was taking off, and the pilots did not see each other. MARION, Indiana -- A 60-year-old man is believed to have died when his small plane went down near the airport in Marion Thursday afternoon. 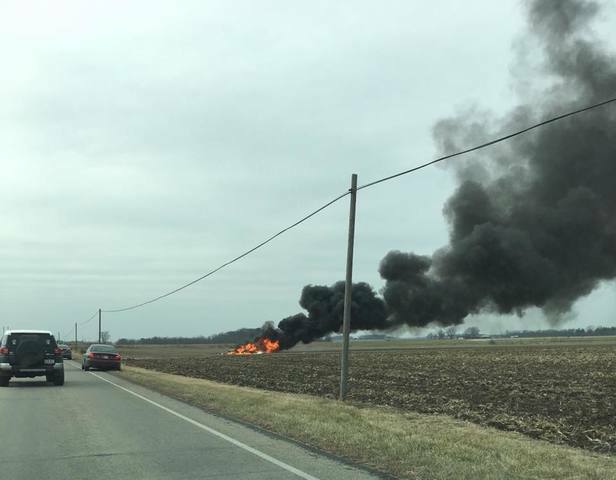 Multiple emergency crews were called to the scene in the area of 050 West and SR 22/US35 around 2:20 p.m. for a report of a plane crash. When emergency crews arrived the plane was already down in a field and was fully engulfed in flames. Grant County Sheriff's Department Captain Ed Beaty said their initial investigation shows that only one person was in the time of the crash. That pilot has been preliminarily identified as 60-year-old Jeffrey C. Barrett from Chesterfield, Indiana. 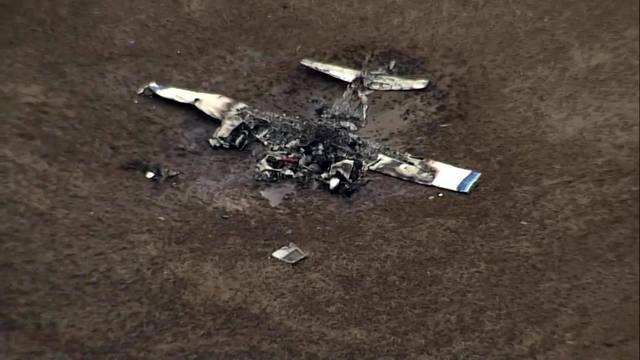 The Federal Aviation Administration and National Transportation Safety Board were both contacted to investigate the cause of the crash. Indiana State Police will keep the area secured until their investigation is complete. You can save thousands of dollars doing your own aircraft maintenance, but it is imperative that you know what you're doing, and that a certified A&P should check your work. This precaution doesn't cost too much, and your safety level will be improved. what with all that flat, unobstructed real estate, you'd think he could have set it down under control. don't see any ground scars to indicated forward movement. maybe a classic VMC stall/spin. remember it's always better to crash under control than out of control. My mail lady's husband was an eyewitness, on 911 BEFORE impact. It was the impossible turn, to the left, with the left engine out. Jeff was ATP and A&P. I knew Jeff.